We specialize in rooftop electrical service retro-fit flashings for all types of roofs, including electric service flashings from ASI Products and Aztec . 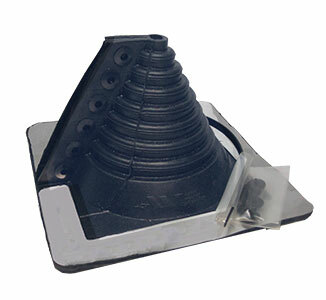 These electric service entrance mast flashings are designed for all types of roofs including asphalt single roofs, built up roofs and cap-sheet roofs, but fit many other applications. electrical service, saving thousands of dollars and great inconvenience. These systems are ideal for use in existing or new construction for electrical conduit flashing, vent pipe flashing, equipment supports, and all types of retrofit flashings. 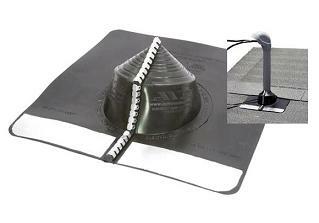 Lift or remove the roof tiles which will overlap top of metal flashing. Clean area as needed to assure good sealant adhesion. 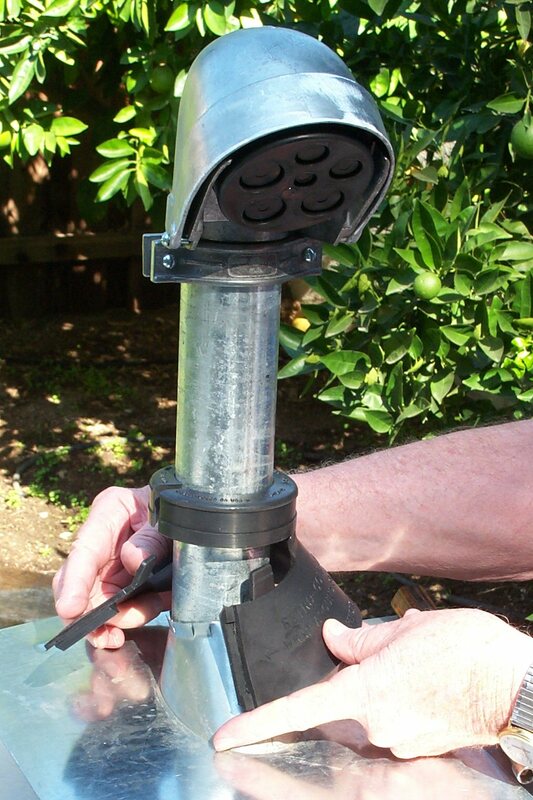 Apply M1 sealant or butyl sealant under the metal flashing base. Slip on the metal retro-spin flashing base. 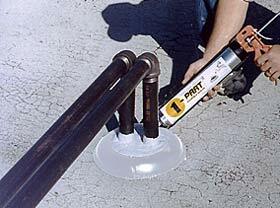 Close the base around pipe so that the "door" faces downhill. Be sure M1 sealant creates a seal to the underlayment. Nail flashing along upper area. Add an additional bead of M1 at the metal edge and over nail tops. Seal the "door" edges with M1 sealant, or solder closed. Open and wrap both EPDM Retro-collar pieces around the pipe (upper collar and also the skirt). Push the both the top collar and skirt units together (they interlock like a puzzle and have an internal sealing lip). Add a bead of M1 at the top collar mate point as needed. Attach the metal clamp and tighten. Inspect to see that there is no gap in the top-collar. Trim shingles. 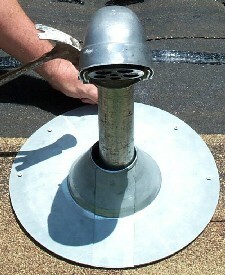 Apply M1 sealant and re-attach shingles along the top area. Seal again at the shingle perimeter with M1 sealant. 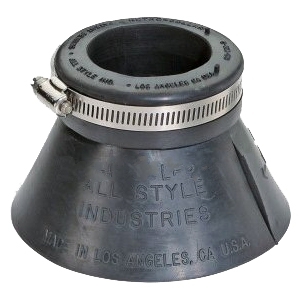 NEW: Top of the line lead pipe flashings, lead roof flashings, lead vents, lead scuppers, lead sheet, lead plumbing vents and other lead roofing products for the longest life performance. 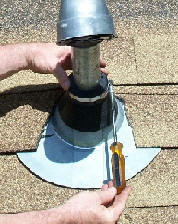 Sizing Pipe Flashings: Sizes are based upon national standard pipe sizes (NPS). Copper and brass pipe dimensions are different.